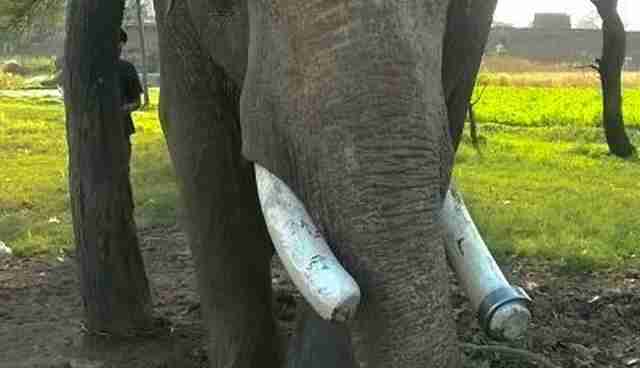 If luck didn't finally smile on this 55-year-old elephant when it did, there likely would have been nothing left to save. When rescuers finally took custody of an elderly elephant named Mohan - with help from around 50 police officers who fought their way through an angry mob - starvation had nearly carved him into a skeleton. His weathered flesh was riddled with wounds and sores from being whipped and stabbed into service. Mohan had been forced to perform for nearly as long as he's been in this world, stolen from his own wild herd in India as a mere calf. 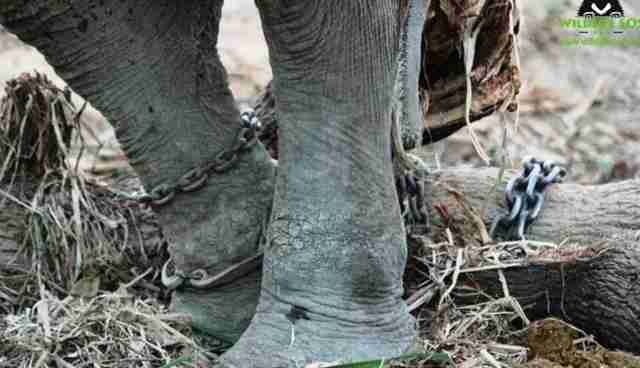 He was forced to travel in chains throughout the region as a begging elephant. It took a lifetime for him to finally catch a break. Dubbed "the unluckiest elephant in the world" by rescuers at Wildlife SOS India, Mohan was the subject of a court battle since 2013. In that time, the group mounted no less than 18 legal actions to try to wrest Mohan from his owner in the Indian state of Uttar Pradesh. The court delays might have seemed downright comical, if every minute of every day weren't so crucial for Mohan. "It was some pretty unbelievable stuff actually," John Pecorelli of Wildlife SOS tells The Dodo. Indeed, court proceedings kept getting delayed. There were riots in the region. And a 120-degree heat wave succeeded in closing the court completely for days. "It was one thing after another after another," Pecorelli adds. 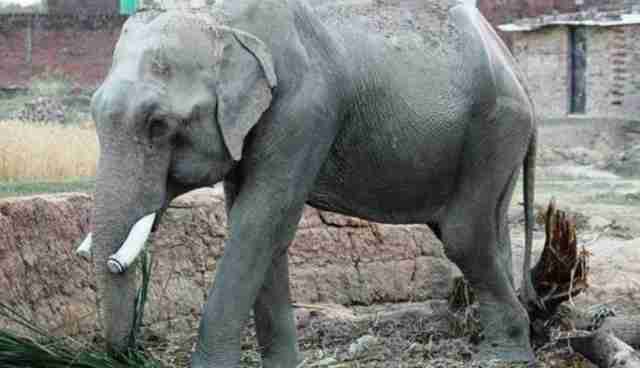 But last week, a court finally ordered the elephant transferred to the state forestry department. That led to a rescue operation lasting more than 24 hours and involving a small army of police officers. By the end of it, Mohan was transferred to the custody of the forest department. It's not ideal, Pecorelli says, but it will save the elephant's life. 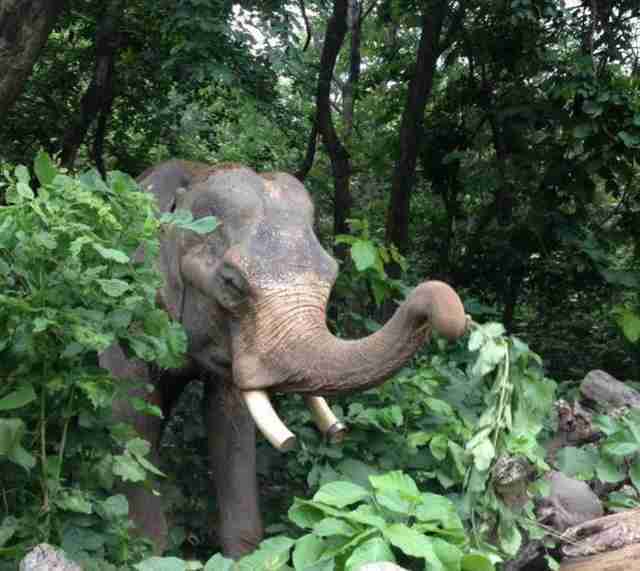 "They're taking care of him and we have our mahouts working with him," Pecorelli says. "We still want Mohan at our sanctuary so we still have a couple more court battles to go. "So while this is a really nice victory, the war is not over. We still have a long ways to go." You can help. Consider making a donation to Wildlife SOS India here.